But let us not tire our attention with the furthermost interpretations of the words of the Gospel. We shall believe thus, as those same ones have taught us, who themselves were enlightened by the Lord Himself, insofar as they alone know this well: the Mysteries of God, in the words of a prophet, are known to God alone and His perpetual proximity. 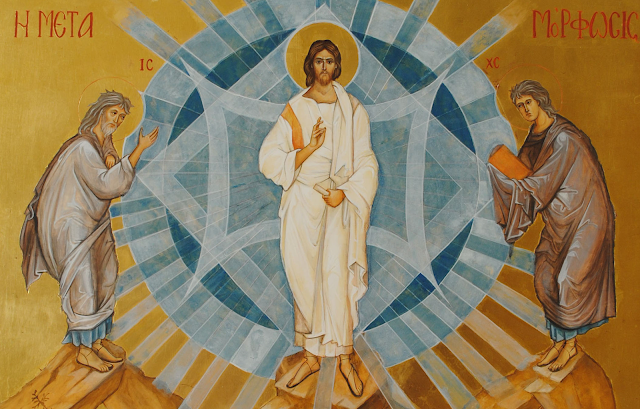 Let us, considering the Mystery of the Transfiguration of the Lord in accord with their teaching, strive to be illumined by this Light ourselves and encourage in ourselves love and striving towards the Unfading Glory and Beauty, purifying our spiritual eyes of worldly thoughts and refraining from perishable and quickly passing delights and beauty which darken the garb of the soul and lead to the fire of Gehenna and everlasting darkness. Let us be freed from these by the illumination and knowledge of the incorporeal and ever-existing Light of our Savior transfigured on Tabor, in His Glory, and of His Father from all eternity, and His Life-Creating Spirit, Whom are One Radiance, One Godhead, and Glory, and Kingdom, and Power now and ever and unto ages of ages. Amen.